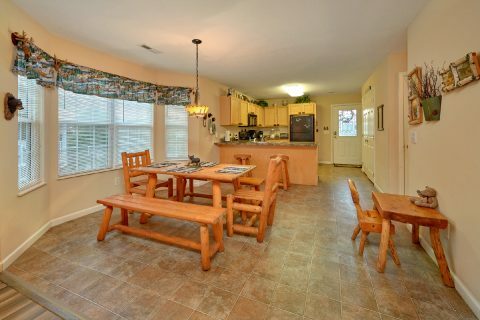 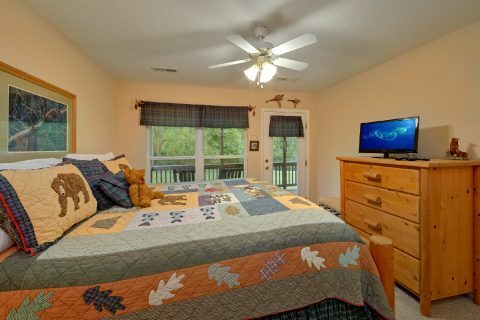 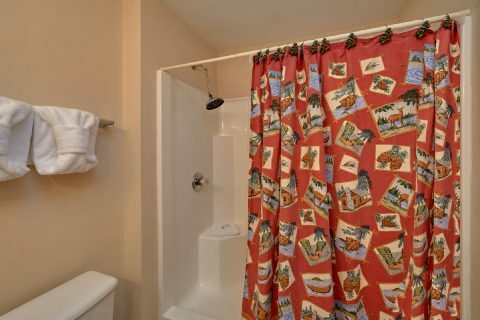 "Dancing Bears" is an affordable 2 bedroom rental located in the convenient River Pointe Resort area of Pigeon Forge! 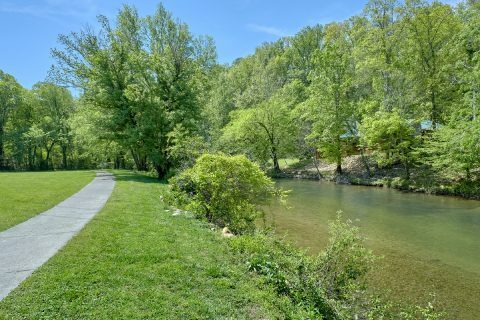 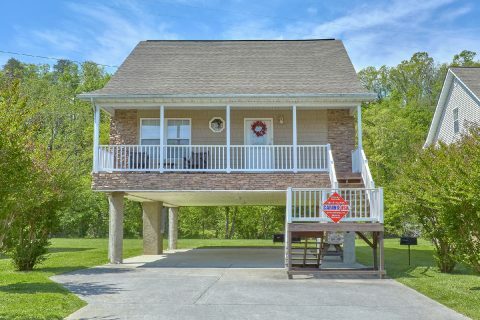 Not only does this comfortable vacation home offer a prime spot near the West Prong of the Little Pigeon River, but it also keeps guests less than 1 mile from the exciting Pigeon Forge Parkway. 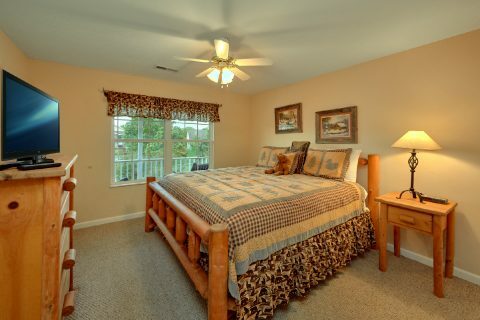 In fact, this vacation rental is especially close to top local attractions like The Titanic Museum, The Hollywood Wax Museum, and several popular dinner shows. 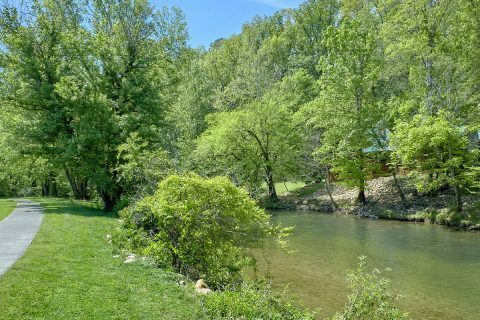 Better yet, other nearby destinations like Dollywood and the Great Smoky Mountains National Park are only a short drive away from "Dancing Bears." 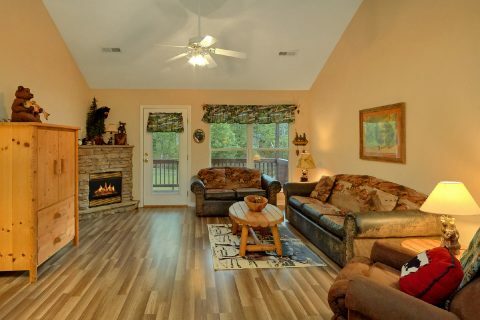 After a great day spent exploring the Smoky Mountains of Tennessee, you can look forward to relaxing at this comfortable rental that's close to all the action. 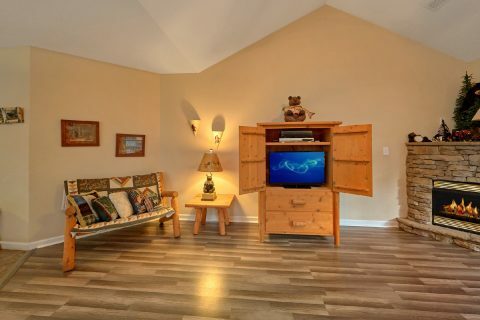 Enter into the main level of this raised vacation rental and you'll find a welcoming living room area complete with a gas fireplace and a television. 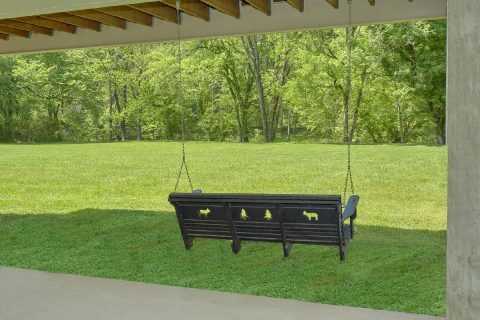 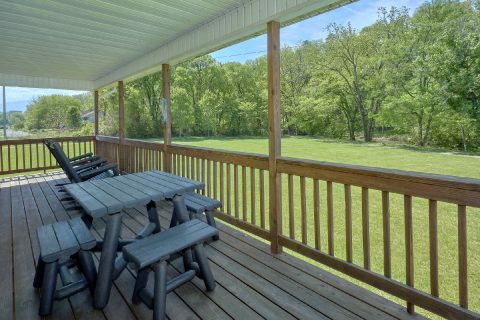 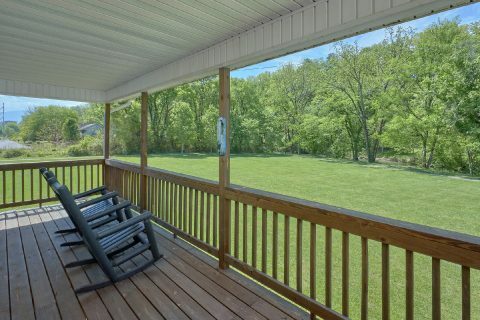 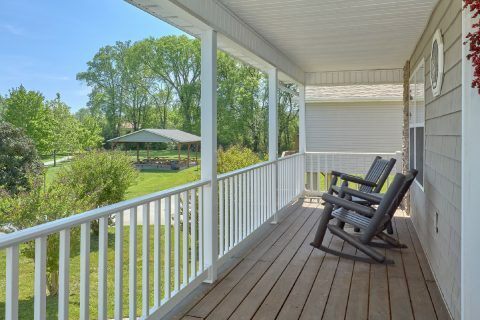 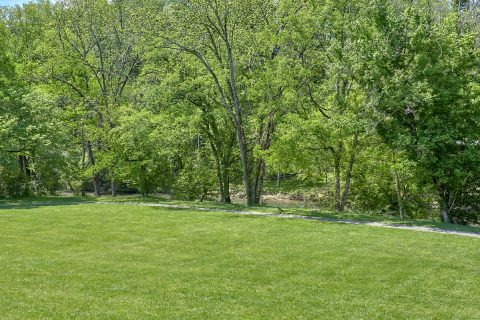 From here, you can step outside to the back deck that boasts a peaceful view of the river. 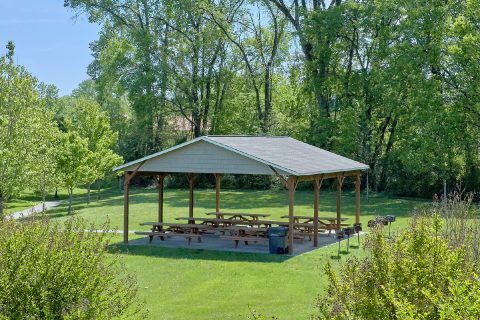 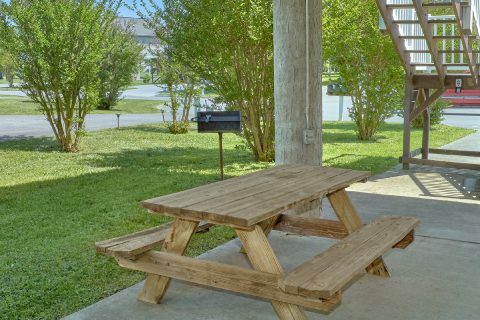 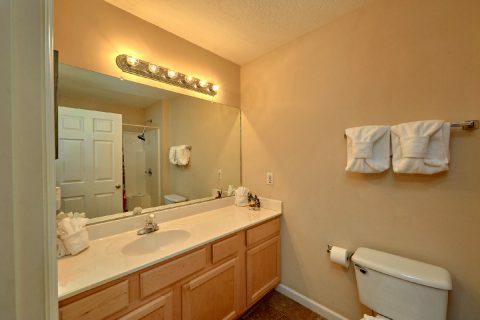 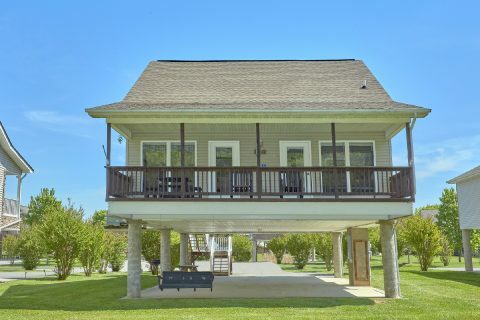 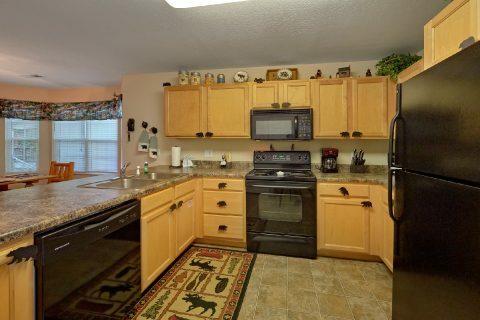 This rental is also located close to a common area picnic pavilion that features grills if you'd like to enjoy a nice cookout during your stay. 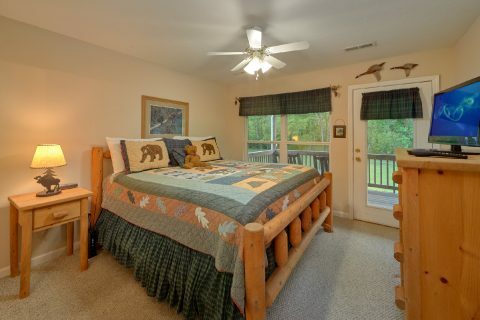 For keeping you well-rested during your Smoky Mountain vacation, "Dancing Bears" provides 2 king-size bedrooms and a sleeper sofa, so it can easily accommodate up to 6 guests in comfort. 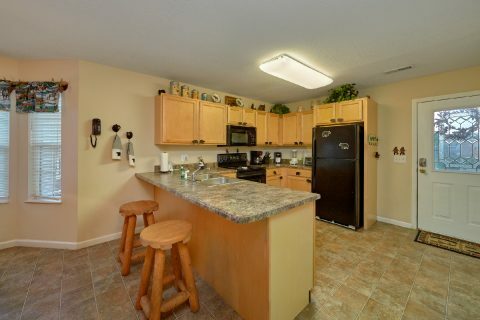 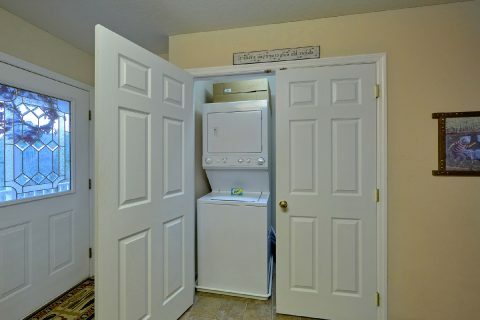 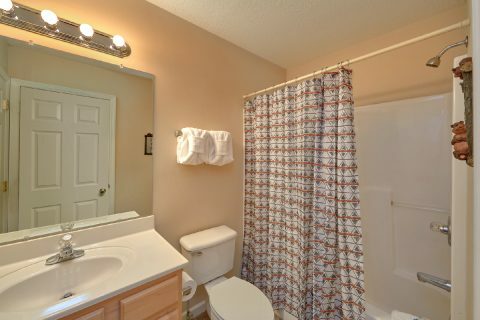 Lastly, this rental provides practical amenities like a full kitchen, a covered parking area, a charcoal grill, WiFi Internet, and a washer/dryer to use during your stay. 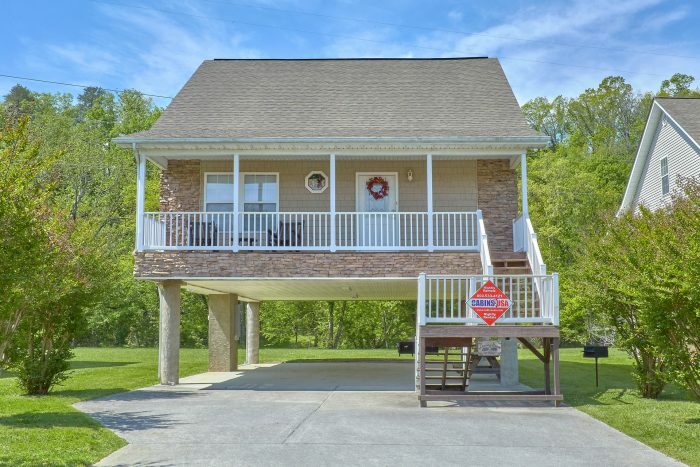 Book this affordable riverside vacation rental in Pigeon Forge today with Cabins USA and you'll save 15% on your nightly rate!